A quick and tasty evening snack. 2. Dry-roast the cashewnuts till golden brown. 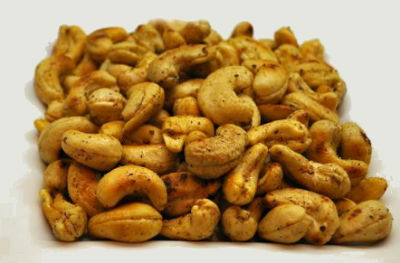 Feel free to comment or share your thoughts on this Roasted Masala Cashews Recipe from Awesome Cuisine.